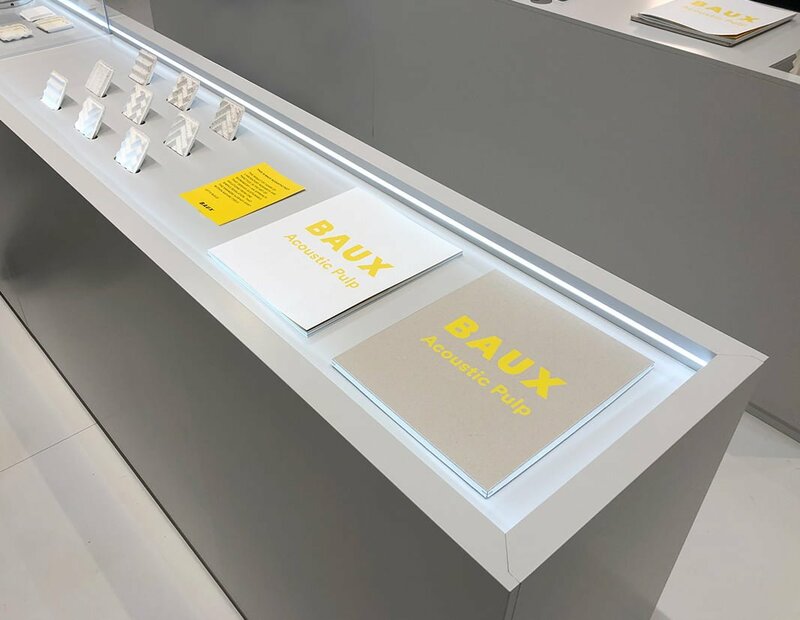 Case: The branding and launch of BAUX Acoustic Pulp. The 2019 Stockholm Furniture & Light Fair opened in February this year in Stockholm, Sweden. It’s one of the most important arenas for global furniture and interior design brands. Thus a very important arena for one of my startups BAUX. 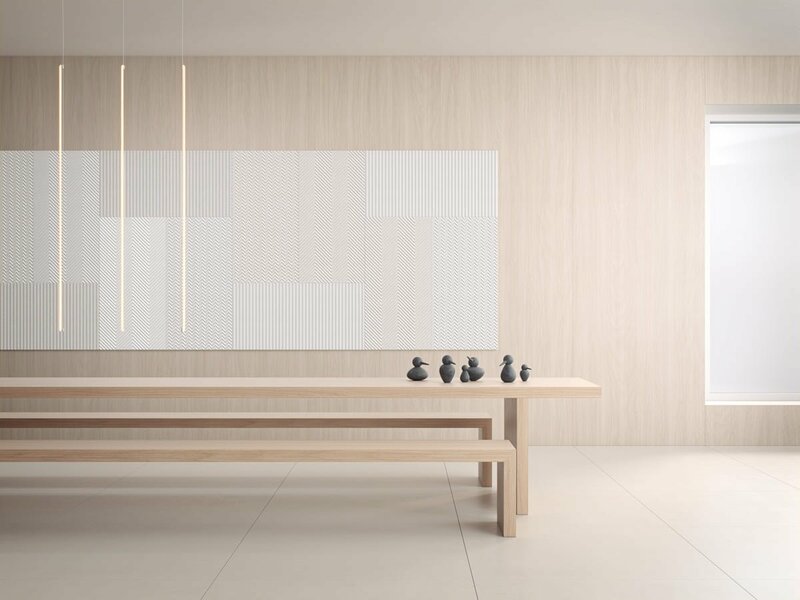 When me and my co-founders started BAUX, we had a simple idea; That acoustic materials can be the bridge that connects urban architecture and interior design with nature. 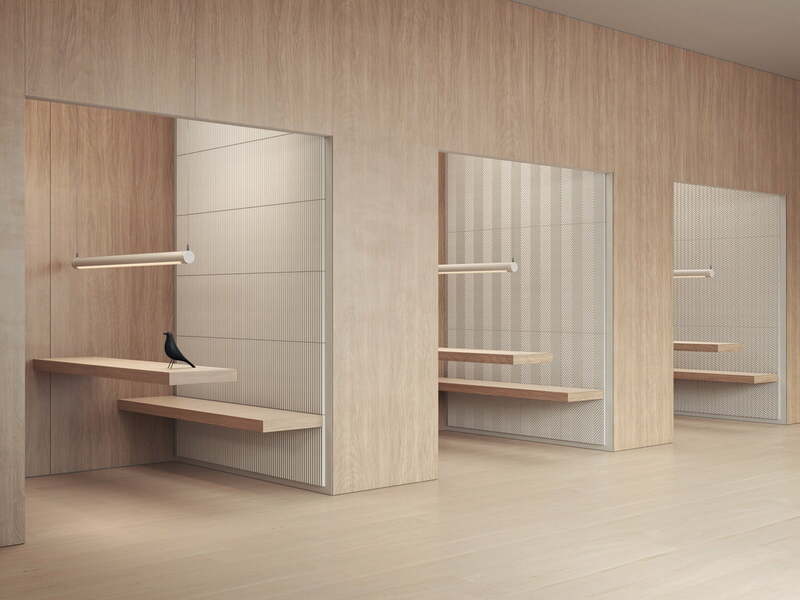 A perfect harmonisation of beauty, function and sustainability, without compromise. This idea energises us daily. It’s embedded in the products we make and the way we do business. And it pushes us to constantly strive to do better, and more. We at BAUX are not afraid of a challenge. 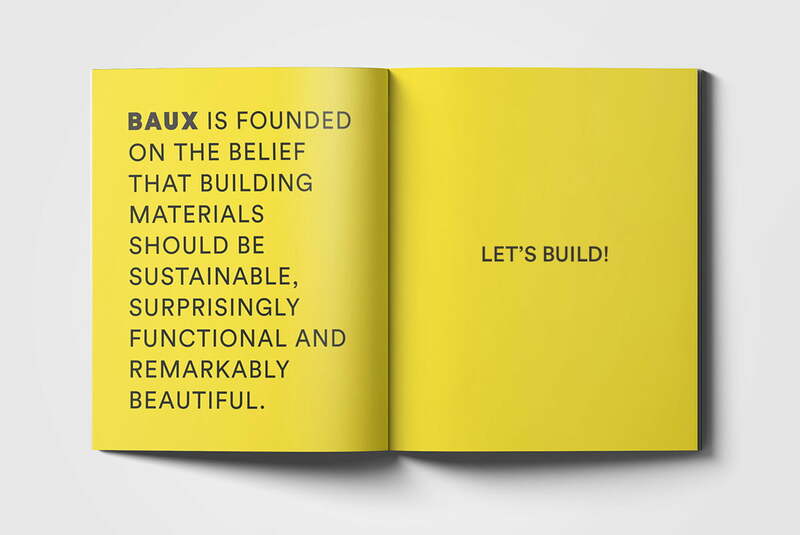 Following the launch of BAUX in 2013 we continued to search the world for the most sustainable and functional building materials. Two years ago we found it and this year at the Stockholm Furniture & Light Fair it was time to show the world what we’ve been working on. 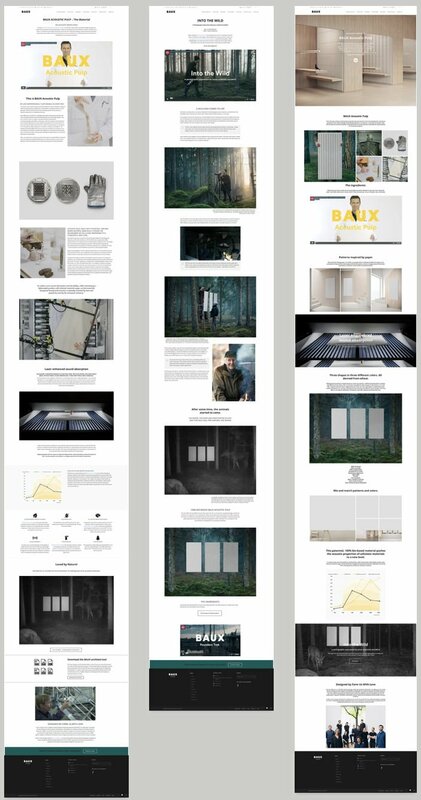 This is the story of how we planned, created and executed the launch of BAUX Acoustic Pulp. 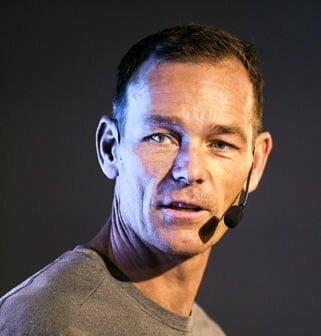 Before telling you the story of the BAUX Acoustic Pulp launch I’d just like to highlight that none of this has been possible without the fantastic team at BAUX led by co-founder and CEO Fredrik Franzon. Fredrik, Jens, Niki, Julia and Sara have all been essential in making this launch come alive. The close collaboration between me and Form Us With Love founders John Löfgren and Jonas Pettersson is absolutely a key success factor. Since the launch of BAUX in 2013 we felt our product portfolio needed to be broadened with a material that had different characteristics than Wood Wool that our product has been based on so far. Over the years we’ve explored several other materials, but it turned out harder than we thought to find something that met our demands. BAUX is all about sustainable materials that can be turned into beautiful designed products that meets the demands of contemporary architects and interior designers. Then more than two years ago we came across an exciting project started by a group of researches from KTH, the Royal School of Engineering. These researchers had been developing a 100% organic material that, with the help of biomimicry, could be shaped as we wanted. We started developing a new acoustic product together. We wanted the new product to be more sustainable, lighter than anything on the market, still tough and durable while absorbing sound. All this and being beautiful as well. This February we launched the results of that collaboration. The BAUX Acoustic Pulp. Film direction and final cut. Your mindset is the most important part. When you set out to launch a new product or service, your mindset is your worst enemy or best friend. It’s you who set the bar. Your way of thinking about goals ultimately decides if your launch will be a success or not. When I speak to colleges or partners in the early stages of planning I often say we need to think as if we’re set out to create a conspiracy with the objective to convince everyone, absolutely everyone, that our product is better than any existing product in the world. 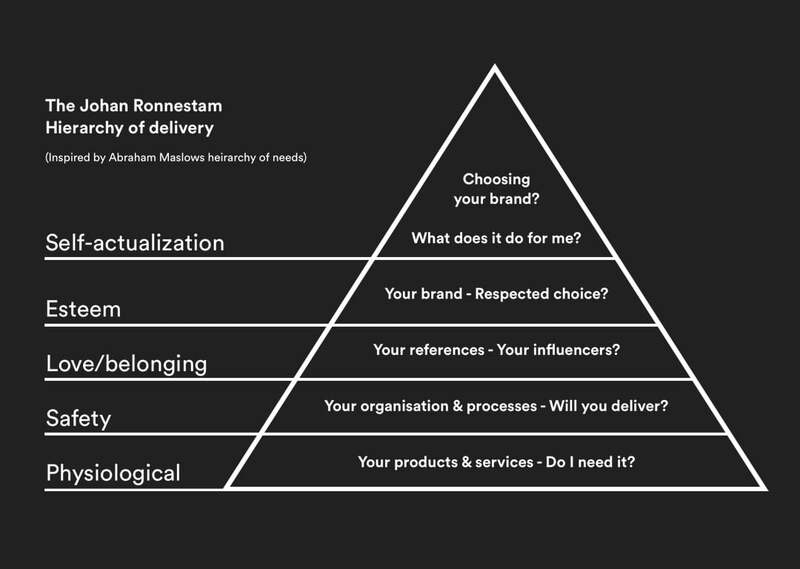 The Johan Ronnestam Hierarchy of Branding. Inspired by Abraham Maslows hierarchy of needs. Marketing after all is not about facts. Marketing is creating a fantasy and getting other people to buy into it. When you sell something, the actual product is only a functionality. What you’re selling is actually a fantasy about becoming something, fulfilling dreams, being ultimately what you want to be – and your product is the manifestation of this, it’s the enabler. So, when you set out to launch a new product or service, this must be your aim. The BAUX Acoustic Pulp is a revolutionary product. I knew from the beginning that I wanted to make sure that the launch of this new product did not go unnoticed. This mindset paved the road for our coming success. After all, if you want to win, you can’t plan to settle for less. 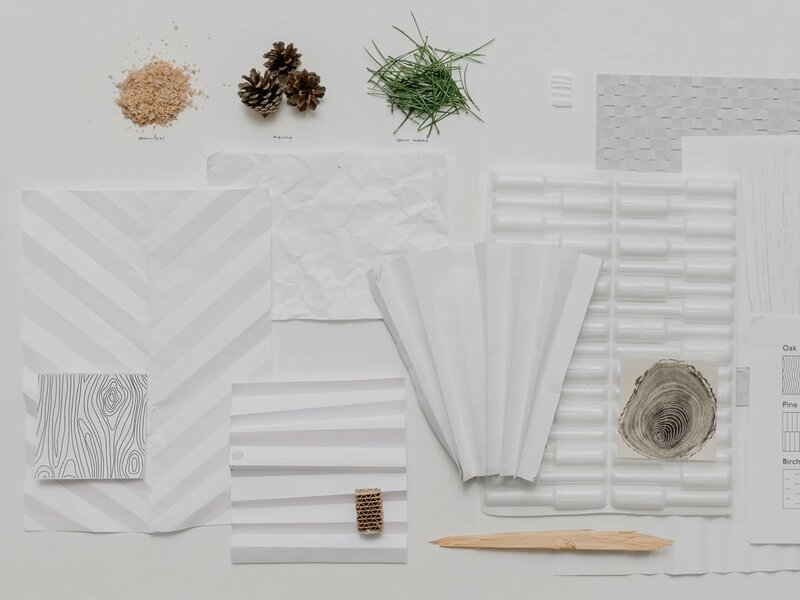 Already in the first meetings I said out loud – Everyone in our target group should know the BAUX Acoustic Pulp is the most sustainable material in the world. Everyone, that’s a big word. But, if you aim for everyone, then you’re at least going to reach a lot of people right? Stick to the brand platform. The product you’re launching is the hero. Think maximum impact. Expect no one to care about your stuff. If you want to reach 100 000 people. 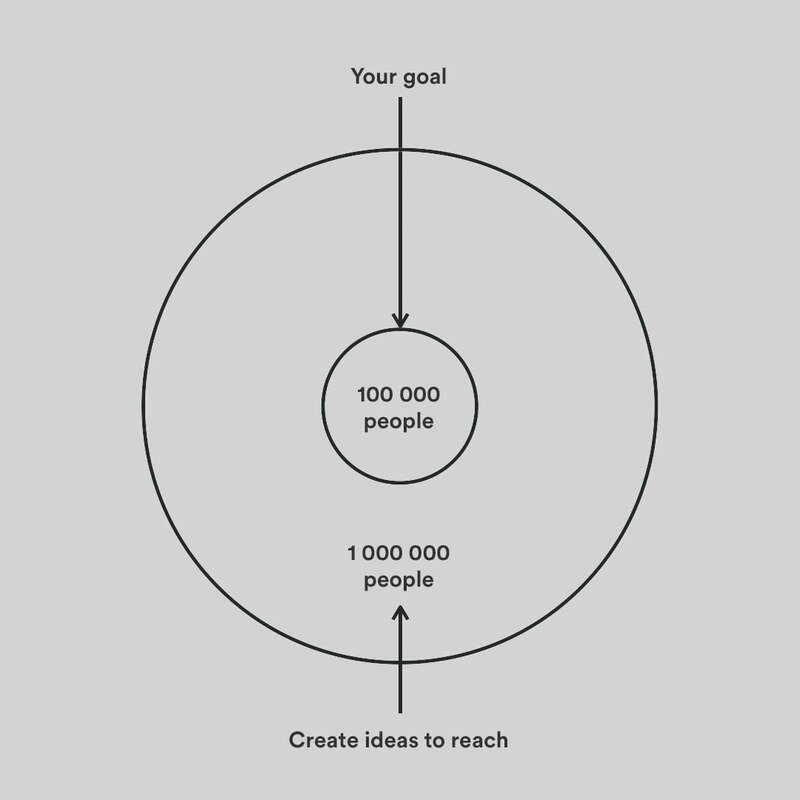 Create a strategy to reach 1 000 000. Don’t fall in love with your own ideas, fall in love with ideas the target group will like. If the budget allows, a great strategy should cover all channels and target groups. Think digital where digital is needed. Think offline where that is needed. Five phases – The brand, the target group, the material, attention & the launch of the final product. Launching the BAUX Acoustic Pulp was different from a lot of other products I’d worked with. This product was truly revolutionary. It was a new material. It was like nothing the world had ever seen. Because of this, launching just a product wasn’t enough. I felt from the start that we had to have a different approach. My worry was that our target groups would question the authenticity of both the material and the product. So, the strategy I laid out was a five phase strategy. 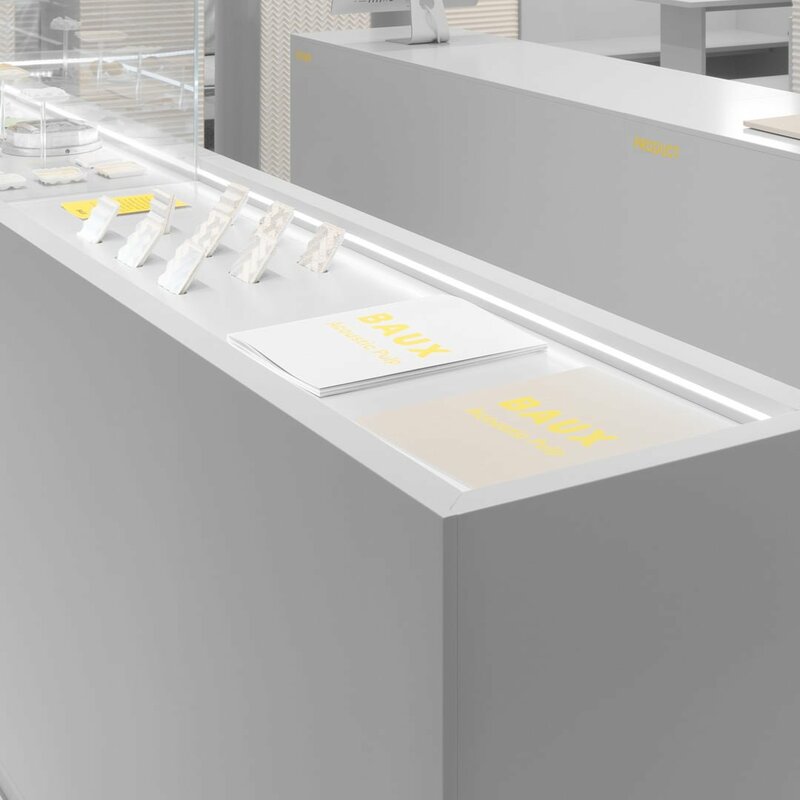 The story of the BAUX brand – Why should you trust us. Why is there a need for sustainable materials – Listen to leading architects and interior designers. The new material – First learn about the Acoustic Pulp material. Into the Wild. A photographic experiment – Drive attention. The Acoustic Pulp product live – The Stockholm Furniture & Light Fair. First, tell the story behind the brand. Build trust and show why BAUX exists. Secondly, show our learnings on sustainability from our most important target group, the Architects & Interior Designers. Third, launch the material before showing any products. Fourth, launch a campaign that differentiated BAUX from our competitors while highlighting the key components of the Acoustic Pulp. Five, using one of the worlds premier arenas to showcase our products live. The Stockholm Furniture & Light Fair 2019, was the perfect stage to let both our target groups and the press experience the product for real. The actual product – the core of the launch. The core of any campaign is always the actual product. I started working professionally with branding, design, marketing & advertising back in 2006. Already then I had a strong opinion that any campaign should, if possible, always be built on product and service characteristics. My experience of working with global brands like Nike, adidas, Absolut Vodka, H&M, IKEA, Suunto and so on, is that these brands have very competent product designers that spend years and years on developing products to reflect the values of the brand itself. Product benefits, both functional and emotional are often highlighted through design features in the final product. Because of this, the product and it’s functionalities should not be hidden. Back in 2000 other people in the communication industry often said that I created campaign and marketing that focused to much on the actual product. But, I stuck to my guns. Today, if you visit any globally known brand you’ll see that they do all they can to make you experience the product. Apple, Nike, adidas, Puma, Tesla, Porsche and so on. None of these brands would ever dream of not including their product in their communication. In this transparent world we’re living in, value is everything. Because of this, the launch of the BAUX Acoustic Pulp started already when we laid the strategy for the actual product design. 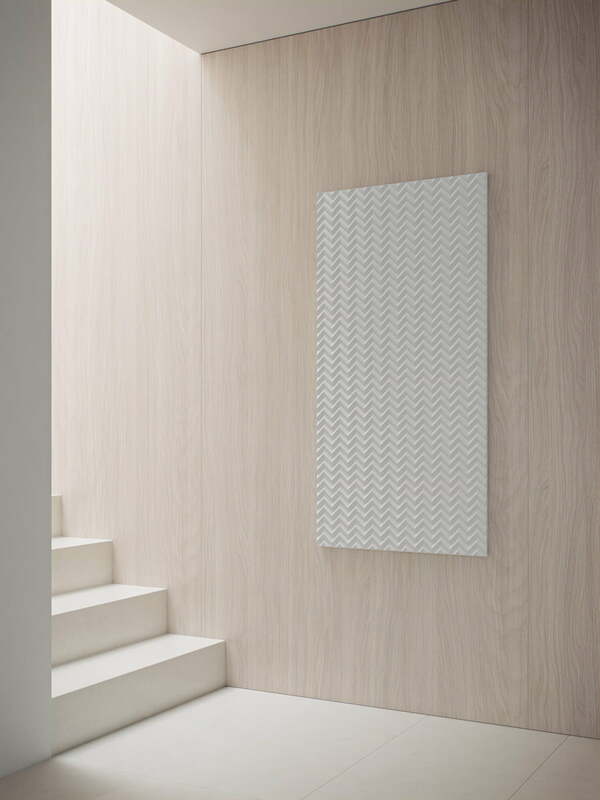 The BAUX Acoustic Pulp, both the front and the back is carefully designed to manage expectations. The product design – managing expectations. 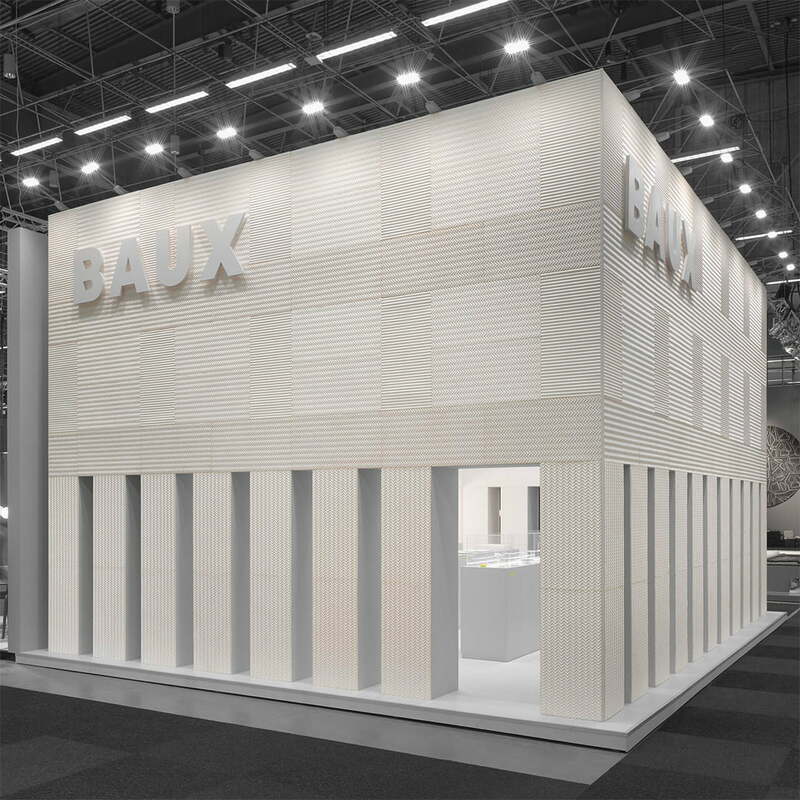 The BAUX product portfolio up until now constituted of a series of products based on the Wood Wool material. 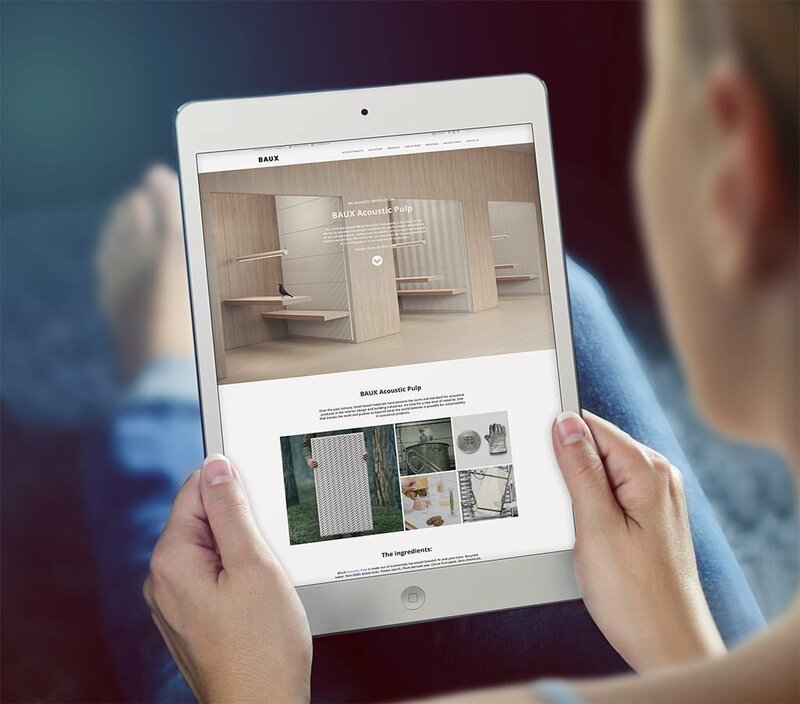 We’ve worked together with Swedish based manufacturer Träullit for many years now. And we’ve had great success. Launching a second material meant it was important to guide our customers the right way. The existing BAUX Wood Wool is based on a series of shapes and tiles. Those shapes and tiles comes in 20 different colors and they can all be combined to create beautiful patterns. BAUX Acoustic Pulp needed to be different. When you have more than one product in your product portfolio it is important that the design and positioning of these products does not compete. When a prospect visits your website it should be clear, not only through naming and categories, but through the actual design and the visual presentation, what kind of product the prospect should look at. Good product design creates the right expectations. A product should automatically sort the buyers into this is for me, this is not for me. The product design should make people understand how to use it. Your product benefits should be highlighted in the actual design. Color, surface, choice of materials – everything matters. Differentiate your product from existing products on the market. The product design should also steer peoples thoughts in terms how and where a specific product should be used. In the case of BAUX Acoustic Pulp, we wanted people to think smaller spaces as the product initially will be priced quite high. As we wanted to keep the product 100% biobased, organic and sustainable, color was also out of the picture. No using color would also make it less likely that people would think this product was made out of an established material. A photo showing some of the creative Form Us With Love design process. Finally we wanted the product design to make people think of the material. BAUX Acoustic Pulp is made of recycled pulp. The actual product resembles paper yet very different of course. But, we felt that giving the product a feeling of paper would make people think of something else than our existing Wood Wool product. It would also ensure that people didn’t mix our new material up with other existing acoustic materials on the market such as felt or stone wool. Two common, yet not even close in terms of sustainability. The final product, designed by Form Us With Love in collaboration with BAUX, was based on our strategic product framework. Resembles paper. A pattern based on folded paper, almost like origami. This was later picked up in the naming of the product. We call this first collection the Origami Collection. And finally to highlight the organic features even more, we decided to “color” the product in three shades, not with actual color, but with different percentages of wheat. Adding paint would have compromised our vision of creating a 100% bio-based product. Instead, with BAUX Acoustic Pulp, color is achieved using different percentages of wheat bran—0, 5 and 30%. The final effect is an organic expression of character and color, without any chemicals at all. Videos – An emotional impact on every level. For this specific launch, as I wrote above, I wanted video to be the pillar of our communication. Through video we could communicate our brand, our learnings from talking to our target group, the actual material as well as finally make people smile. When I create branding and communication. I follow the Viral Triangle strategy I’ve described earlier here. I created four ideas for the videos and then turned to Jonas Herman. Jonas and I have been in touch over the years as I’ve been a mentor of his. Now it was time for me to ask for his help. Jonas, one of the founders of JVGND STIJL also runs an existing start up called Stagecast. Obviously a busy man, so when he said he’d still have time to help us with these films I was very happy. Me, Jonas and his colleague Robin Bugdahn and their moviemaking friend Rickard Croy started the planning and storyboard process. Then after the summer of 2018 it was time to shoot the first film – The Founders Trek. Film 1 – The Founders Trek – The BAUX Values. The first film I wrote had a simple concept. Showcase the BAUX values by following me and the other founders, from the city centre of Stockholm to the forests of Tyresta, close to our Swedish capital. And through that journey highlight why BAUX exists. 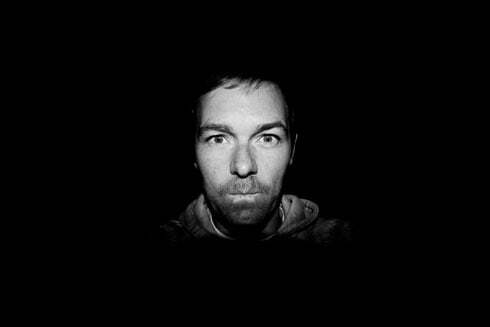 BAUX – The Founders Trek from BAUX on Vimeo. Film 2 -Architects on sustainability – Learning from the target group. The second film was straight up a series of Interviews with one purpose – Why do we need to be sustainable when creating architecture and interior design. We created a very clear presentation of what we wanted to achieve and I’m extremely proud that some of Swedens top architect agencies said yes to help. Architects on Sustainability from BAUX on Vimeo. Film 3 – The Acoustic Pulp material film – Understanding our new material. Film three. Now it was time for the launch of the Acoustic Pulp. The film team spent a full day in the Acoustic Pulp factory together with my founding partners John and Jonas. We created tons of material, so Fredrik and JVGND STIJL had to spend quite some time highlighting what material we could work with. I then did a first cut of the final film and picked music that would differentiate it from the earlier films. I really wanted this one to stand out yet at the same time it was important to be rational about the product benefits. No one should be allowed to miss what BAUX Acoustic Pulp was. BAUX Acoustic Pulp – An acoustic revolution. from BAUX on Vimeo. Film 4 – Into the Wild! Bringing attention to the product features. Finally we called a meeting with our long-time collaborator and photographer Jonas Lindström, and offered him the challenge: How can we put the “natural” part of BAUX Acoustic Pulp to the test in a real way? The result was a stunning series of photos that made just the emotional impact I wanted. Read more about the project further down in this post. 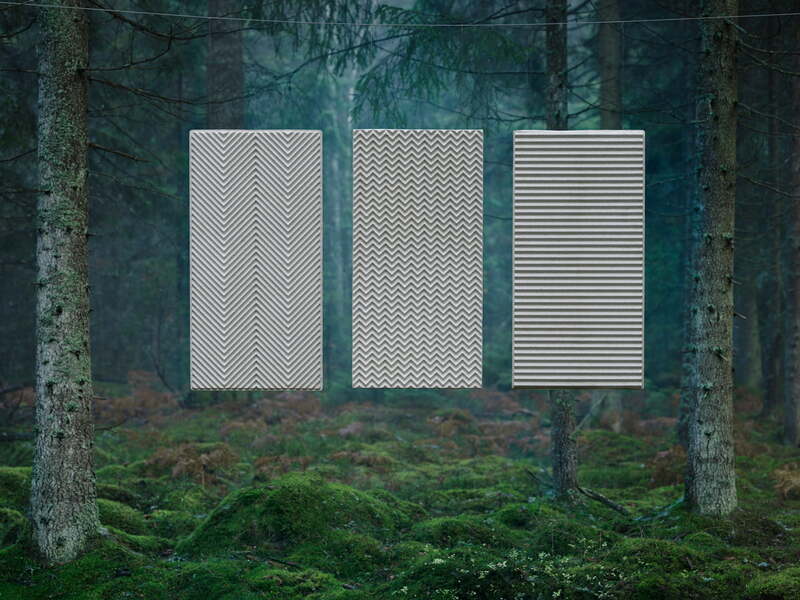 Into the Wild – A photographic experiment by Jonas Lindström and BAUX from BAUX on Vimeo. The Stockholm Furniture & Light Fair – Editors Award once again. Two years ago I celebrated the Editors Award at the Stockholm Furniture & Light Fair 2017 me & Förstberg & Ling created the Kinnarps Stand at the fair. Now it was time again to celebrate, this time with the BAUX Acoustic Pulp stand created by me and Form Us With Love. Following up the 2017 award I once again was awarded the Editors’ Choice Award. This time together with FUWL. A project like this always start with a concept phase. During this phase I create a brief for myself and the team. When we create stands for BAUX it is always a close collaboration between me, the people at BAUX and founding partners Form Us With Love. This year was no different. Once the BAUX CEO Fredrik Franzon have approved the direction of the project, I start an intensive process to develop the final concept. This year me and John Löfgren from Form Us With Love worked closely to align our ideas. 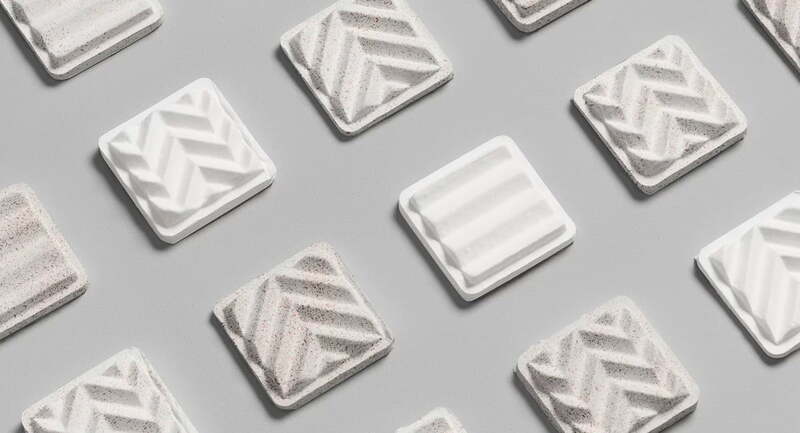 It’s a great collaboration where focus is all on doing great stuff for our co-founded company BAUX. Like everything else in a project like this it’s all about the products. A big question internally this year was if we were to create a stand showing both the existing wood wool collection and our new Acoustic Pulp or only the Acoustic Pulp. If you visited our stand you know the final decision. Since we launched both a new material and products made in that material we felt all focus needed to be on the Acoustic Pulp. We had to make sure people didn’t misunderstood what this year was all about. This was a one time strategy exclusively for the launch of the Acoustic Pulp. In Clerkenwell 2019 we’ll be back to showing Wood Wool and of course do that together with the Acoustic Pulp. Pinterest is an invaluable tool when you search for inspiration. So, the concept phase kicks off. Usually when I start working with a concept for a fair I always write down a couple of keyword. They should derive from the product features. In this case, an organic product, biobased, a transparent process, clean, innovative, not colors, etc. Based on these words I often use Thesaurus to pick out another 20-30 keywords related to the initial words. I then open up Mindmaster and start brainstorming, often writing short but conceptual descriptions of the emotional effect I want to achieve. 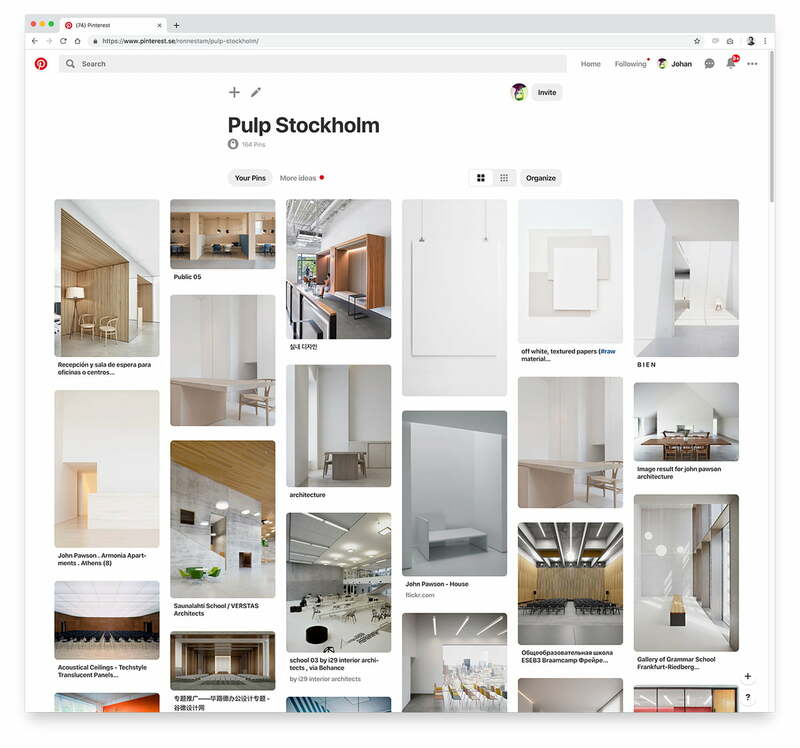 In Pinterest I start to search for inspiration and I build up a moodboard for all important parts of the project. A moodboard for product presentation, signage, entries, lightning, floors, walls, roof, doors, openings and closed areas, furnitures if that is to be used etc etc. As a creative director from Japan once told me: “Information in. Information out”. Pen and paper is still the best tool of all. Parallel with the process above I also start doodle. During these first week of the creative process I constantly doodle in my sketchbook. Just sloppy doodles, but doodles testing my own thoughts. Every now and then I bring the doodles into Sketchup and test them in 3D. Ideas come and go. In this project for example I wanted to structure to be monumental in some way. Early on I thought about the Stone in Kaaba. Out of some reason I just got stuck on that object. The fact that it just sits there in the middle of a huge square and millions of people worship it. I wanted our stand to do the same thing to people – make people stop and worship it. In the end, worship our product. Some of the first quick concepts drawn up for the BAUX Acoustic Pulp stand at the Stockholm Furniture & Light Fair 2019. I brought the Kaaba stone idea into Sketchup. I broke it up to pieces, created entries, closed entries, raised the roof, lowered the roof. For a while I drifted into the Idea of creating a homage to the The Nordic Pavilion in Venice 1958-1962 designed by Norwegian architect Sverre Fehn. In the end me and John married our ideas together and we decided on a semi-closed construction. 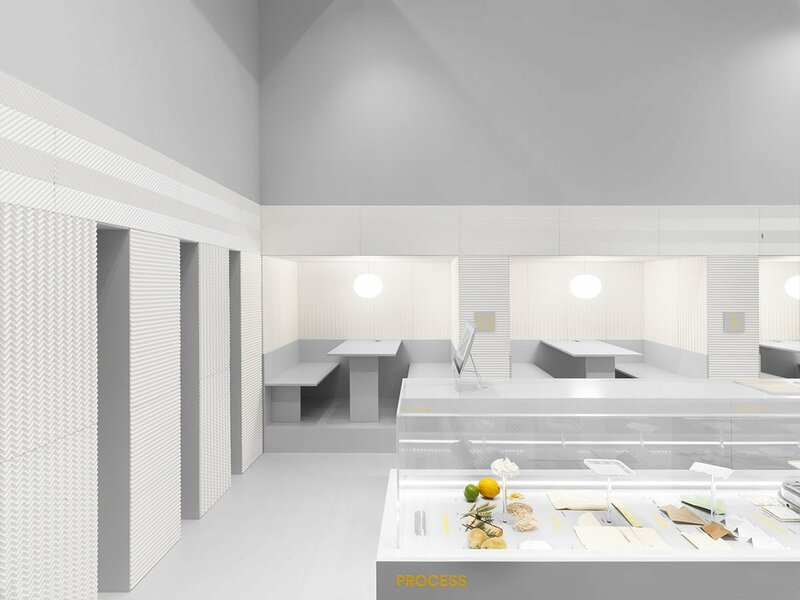 A monochromatic and minimalist pantheon built at architectural scale, a design that in the end earned us the Editors’ Choice for “Best Stand Award”. 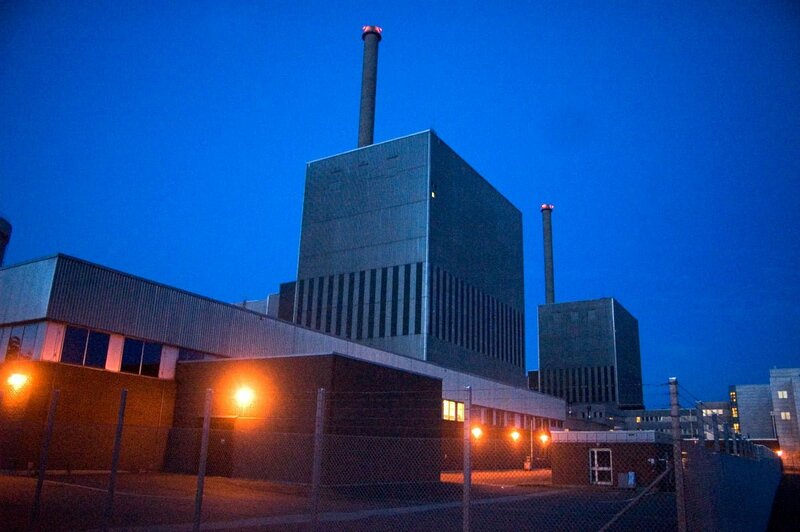 The Swedish nuclear power plant Barsebäck served as a sort of twisted and ironic inspiration for the facade of the BAUX stand. Following a long and thorough process we were ready to start building. Previous year we had Craft Expo building tghe BAUX stand. They’d also helped me and Kinnarps bring our ideas to life during 2018 so I felt very comfortable with them. Fredrik and Craft, with the support from me and Form Us, started planning the construction of the stand. 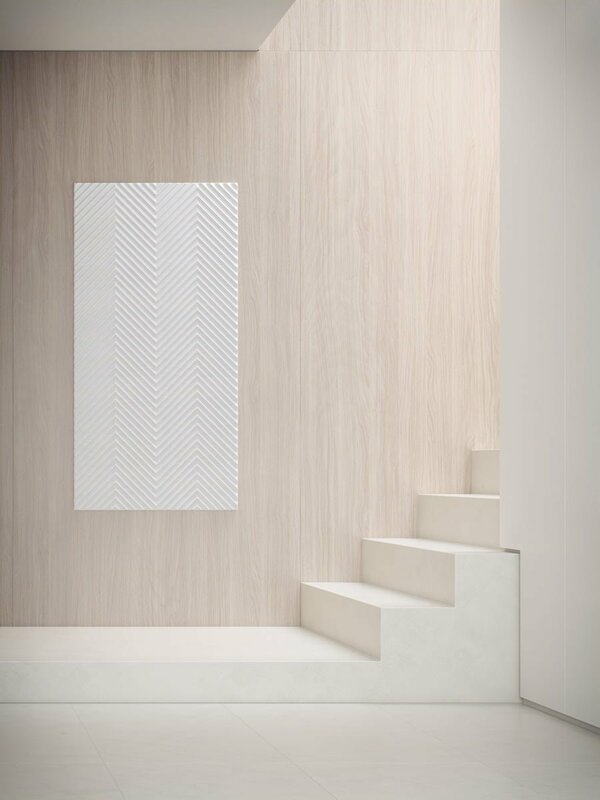 The concept we had developed wasn’t merely for show, the main objective was to effectively demonstrate the aesthetic and functional properties of the BAUX Acoustic Pulp. We covered both the outside and the inside with Acoustic Pulp Panels. The BAUX CEO Fredrik and our factory was working late hours the last days to make sure we had enough Pulp panels for the fair. In the end, the result was effective, monumental and beautiful. 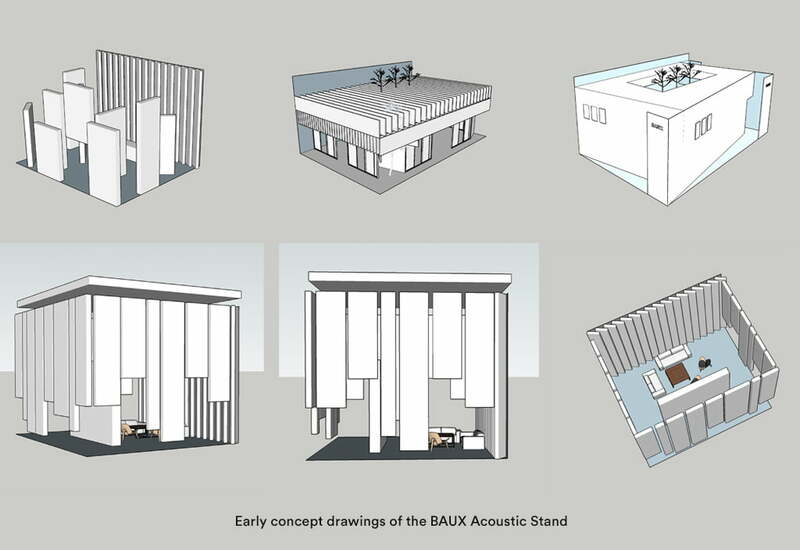 The BAUX Acoustic Pulp stand. 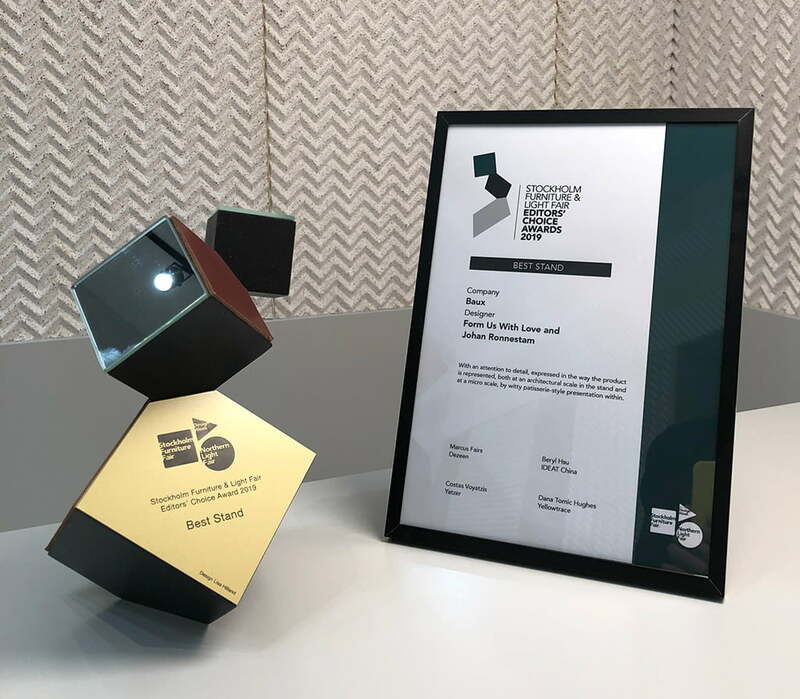 Awarded Editors Award at the 2019 Stockholm Furniture & Light Fair in Stockholm, Sweden. The construction was both inviting as you could see through it from all sides, yet on the other hand it also made people eager to go inside and see what we had been up to. The inside was a mix of displaying how the product could be used as well as how it had been developed. Inside a bright atrium we had placed three nishes or smaller rooms where visitors could experience both the sound reducing effect while actually experience the different wheat mixtures. Few colors and elements made sure people were looking at the things we wanted them to look at. The print magazine described more closely below had a hero position in the stand. We’d spend a lot of time making this piece of communication stood out. We didn’t want anyone to miss it. A consistent branding experience is essential for global success. 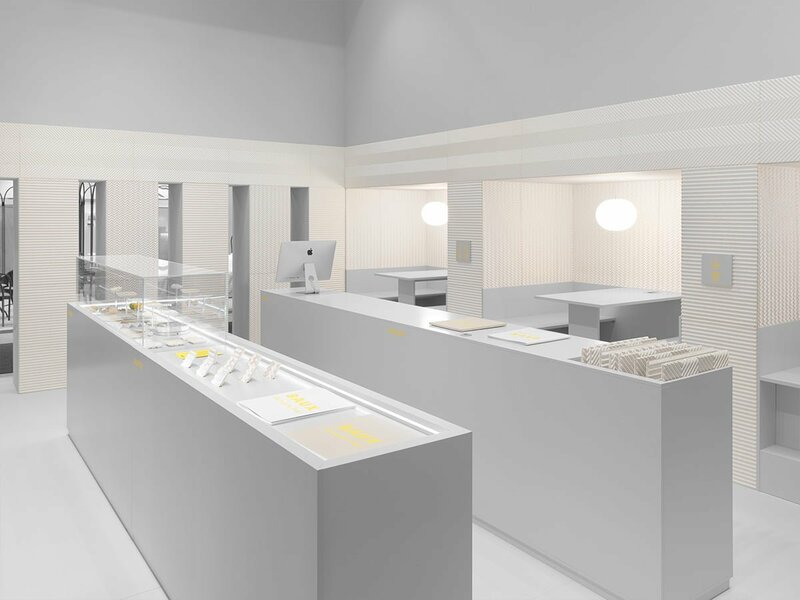 A mix of interior design, visualisation of product, storytelling, and as many wow moments as possible was our focus. 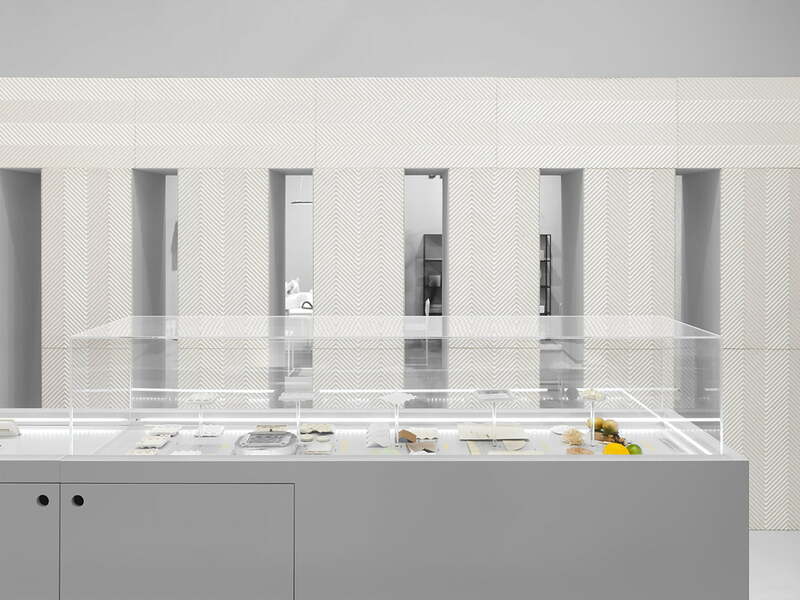 Visitors could follow the process from raw materials to final product in the BAUX stand. Every day at 16:00 we served Oysters and great music. I couldn’t be more happy with the results. We had massive interest for the new product at the fair. The stand was packed with people from day one until the fair closed day five. When we started this part of the project I said straight out – The goal is to win the Editors Award. And we did just that. A success! When you set out to create a digital strategy for your product launch, make sure you don’t settle with a single page strategy. Your target group usually have different interests and therefore you should develop different triggers. 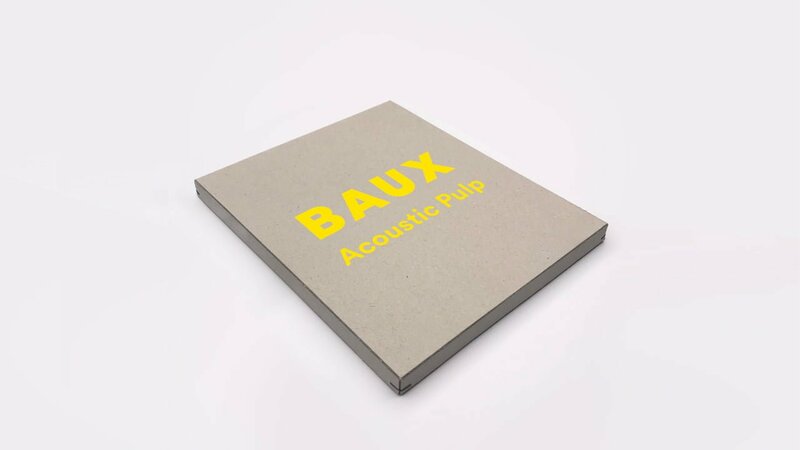 For the BAUX Acoustic Pulp we created four key components. The material page, the product page, the story page and finally supporting architect tools. By creating these different pages we can search optimize our website to meet those different demands that our target group have. The material page is an essential component in building credibility for our new material. Once we’ve established that credibility we can point the traffic towards the product page. However, sometimes the visitors comes straight from a publication online, like Deneen, Design Milk or Frameweb for example. In those cases the credibility for our brand and product is already established through their brands. Then traffic should be directed as fast as possible to the product page. For people who’ve never heard of BAUX we’ve also developed the launch campaign Into The Wild. This is a typical activity I often create to strengthen the branding of BAUX as well as reaching a broader and often new audience. Finally we also do a lot of “under the hood” activities such as develop press material, technical documents and architect tools containing the important working files and specifications needed to implement our products into new projects. All these different digital assets contribute to building a stronger search presence and the right conditions for search and other online advertising. It’s extremely important to broaden your perspective and think holistic. I’ve written about how AIDA is transformed in a digital world before if you wan’t deepen your insight into that. Any product launch should contain visual components that serve different purposes. You want visual material that supports the entire customer journey. Your material should drive attention, inform, create desire and ultimately support the action phase. Who will look at your visual material? What’s the purpose? Attention, information, create desire or action? Does your visual support your sales strategy? Online or offline? Or both? Your target are usually several different groups of people. In the BAUX case our target groups are; Influencers, basically people spreading the word. Architect and interior designers looking to use the product in their projects. Builders who actually install the product. The buyer or owner of the room, house, office space, conference room that will be covered with our products and finally press, that could also be divided in subgroups. Our visual material will be used both off and online. This means we have to create all material in different resolutions and also think of how the visuals will be used. Usually we do both horizontal, vertical and square format. Some animated and some stills. For best effect we also make sure to supply the press with both RGB and CMYK visuals. For product photography we worked with Jonas Lindström. We’ve been working with Jonas since the start. Jonas and I have a history dating back to 2006 when me and Jonas worked with Kosta Boda. I’ve also worked with Jonas in the projects I’ve delivered for Kinnarps. 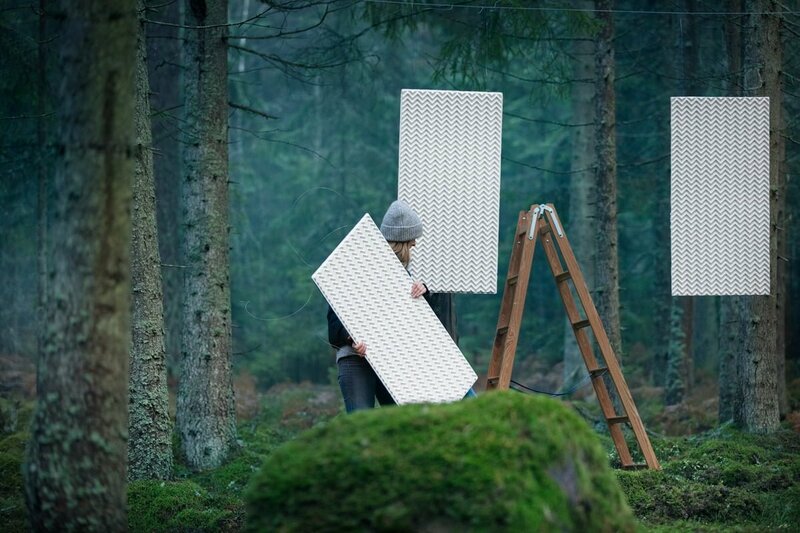 Jonas Lindström was dedicated to bring the BAUX Acoustic Panels to life. 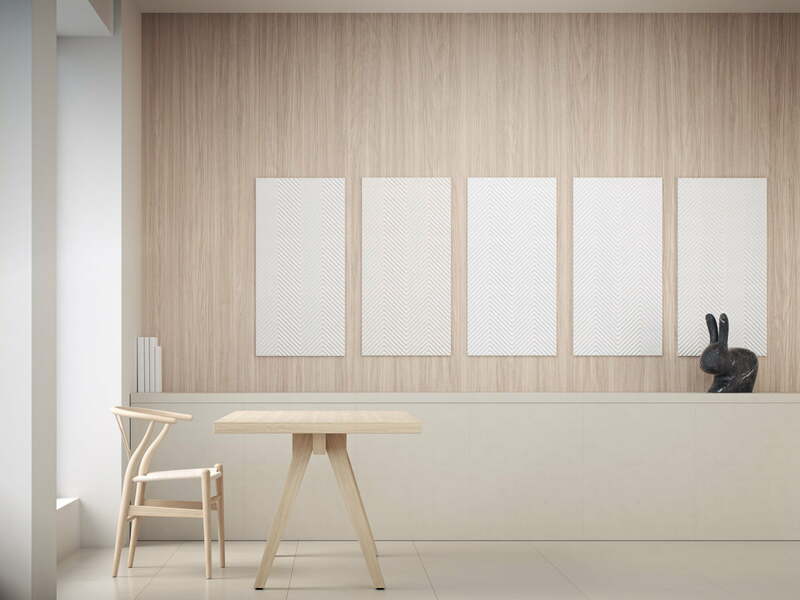 The BAUX Acoustic Pulp panels. Three patterns in three different wheat mixes. Inspirational images showcasing the product. 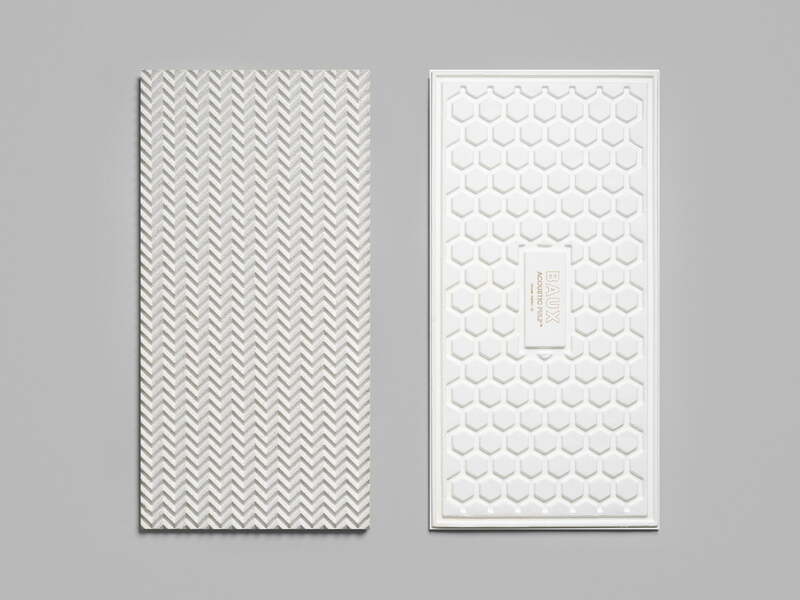 When we market BAUX products we do not only want to show the product. We also want to show the product in use. To inspire architects and interior designers with beautiful environments where the BAUX products are being used is essential for our marketing. However, being a small company this is a challenge since finding office spaces that meet our demands is not very easy. On top of this it’s also too expensive for us. When I create these images I want to create the ultimate environment for our products, an office space where you want to work rather than a real office space where people already are working. For this purpose, 3D is a fantastic tool. I’ve been working with several 3D agencies, but lately I’ve deepen my relation with Industriromantik, an agency based in Gothenburg, Sweden. We’ve developed a way of working together that leads to fantastic results. By showing the product inside rooms and structures you ad attributes to the product. 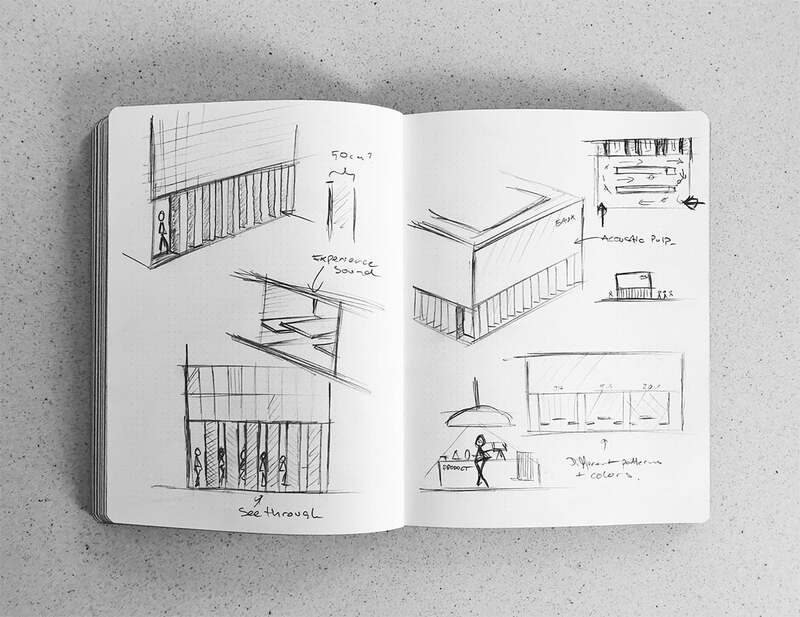 I pen sketch the rooms I want and then supply a material brief for the different surfaces and furniture inside the room. Industriromantik then work their magic and after a couple of interactions we end up with beautiful rooms in photo quality. On strategy I decided to work with extremely clean rooms, made from natural materials and to highlight the connection to nature, I placed an animal somewhere in every room. The final result is both emotionally effective, descriptive and positioning for the product and our brand. 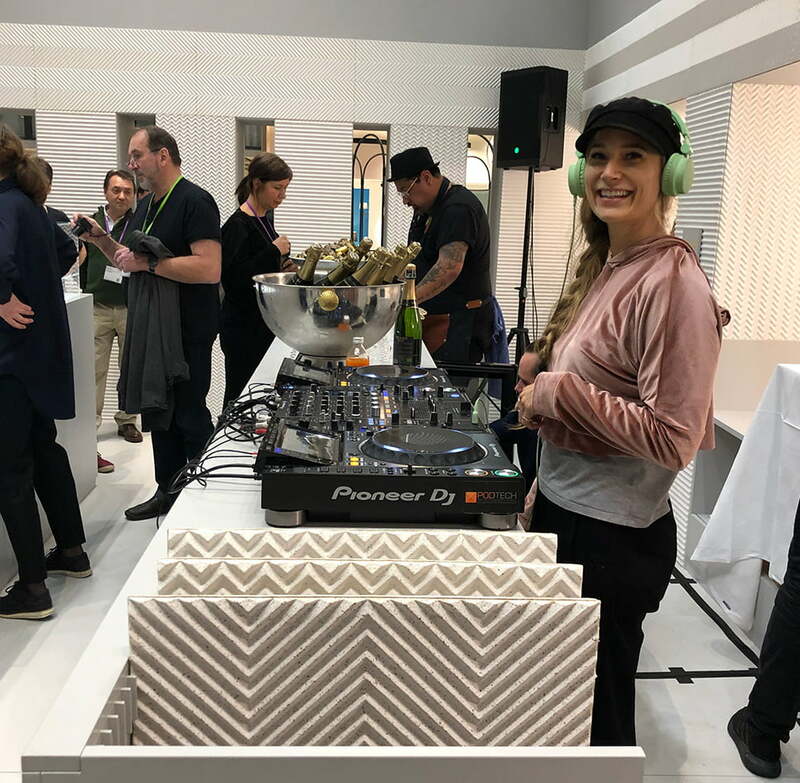 Every room was carefully designed to showcase the product in use while hopefully inspiring architects and interior designers to use the Acoustic Pulp in different types of projects. By creating different rooms, and also using the three different designs and color combinations we showcase the diversity of the product. Launch material – Into the Wild. A photographic experience. When creating BAUX Acoustic Pulp, the intention was to form a seamless loop from nature to factory to nature again. All the ingredients are borrowed from nature, it’s manufactured in an environmentally friendly way, and the final product is 100% biodegradable. So, we knew we could put it back into nature again without causing any harm. But still, I was curious—would Nature accept it back? Putting the product back in its original habitat. So, when it was time to create the final component for the launch of BAUX Acoustic Pulp I called a meeting with our long-time collaborator and photographer Jonas Lindström, and offered him the challenge: Could we put the “natural” part of BAUX Acoustic Pulp to the test in a real way? 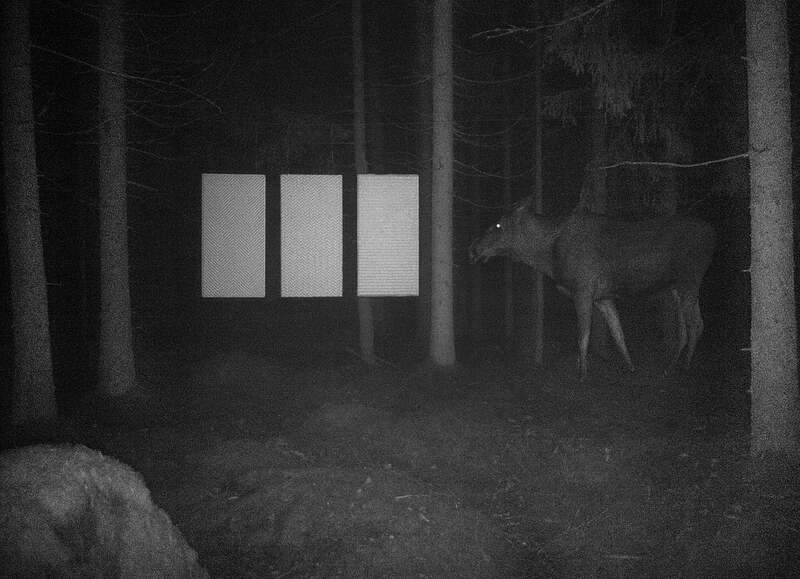 The plan was to place the BAUX Acoustic Pulp panels back into the Swedish forest they were first derived from, and take pictures of wild animals interacting with them. Would they treat the panels as foreign, absurd objects or just like another tree? When I presented the idea to Jonas it produced an immediate yes, and everyone was on board. Putting it into action, however, was another story entirely. 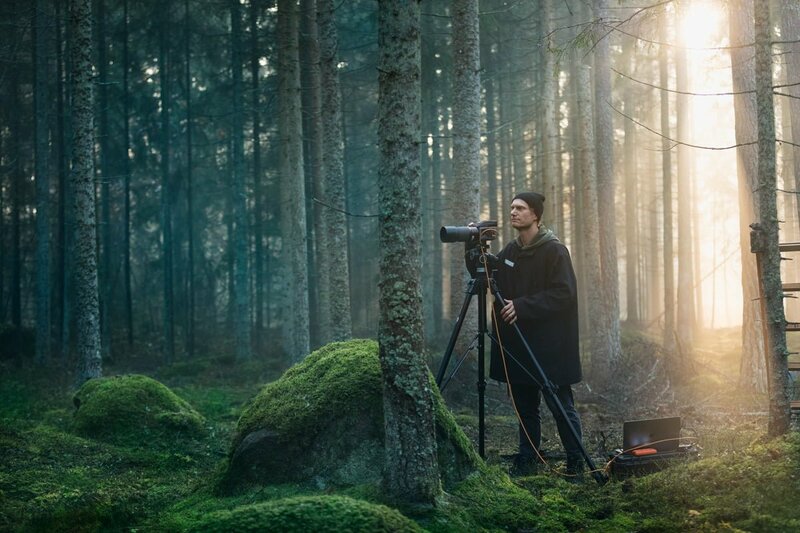 Jonas, out in the swedish forest chasing the shot. 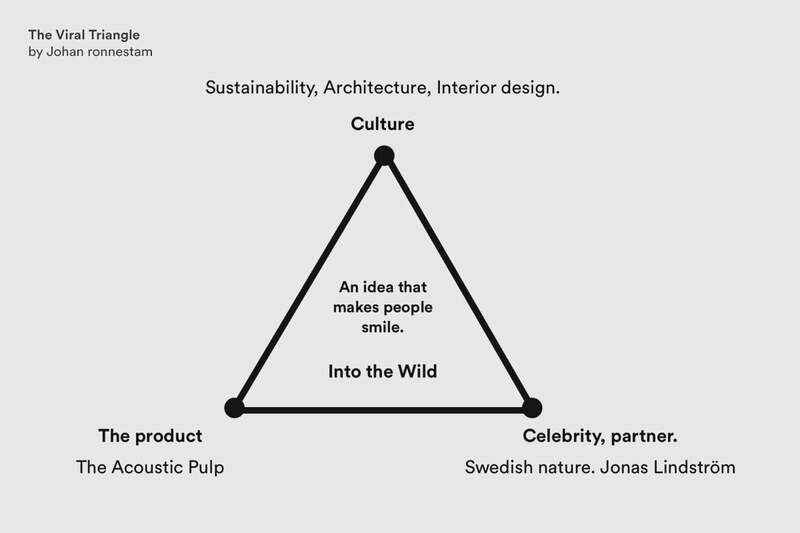 Jonas called his team together to discuss different ways to approach the project, and they came up with a simple plan: Find a beautiful location in a Swedish forest, suspend the panels, attract animals with food, then spend two or three days taking pictures from a good hiding spot. Well, it turned out that Jonas and his team didn’t do it in two or three days. 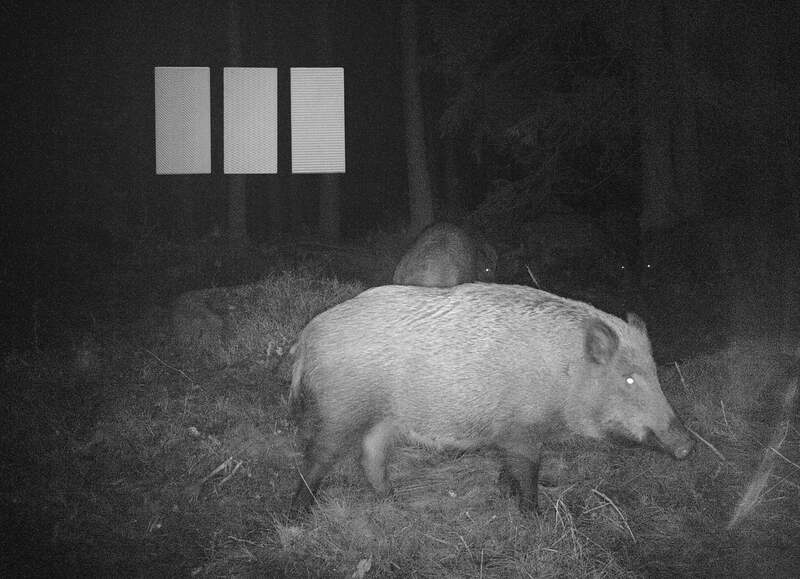 Instead after two months and more than 25 visits, Jonas has managed to capture the magical moments between the animals of the forest and the BAUX Acoustic Pulp panels. 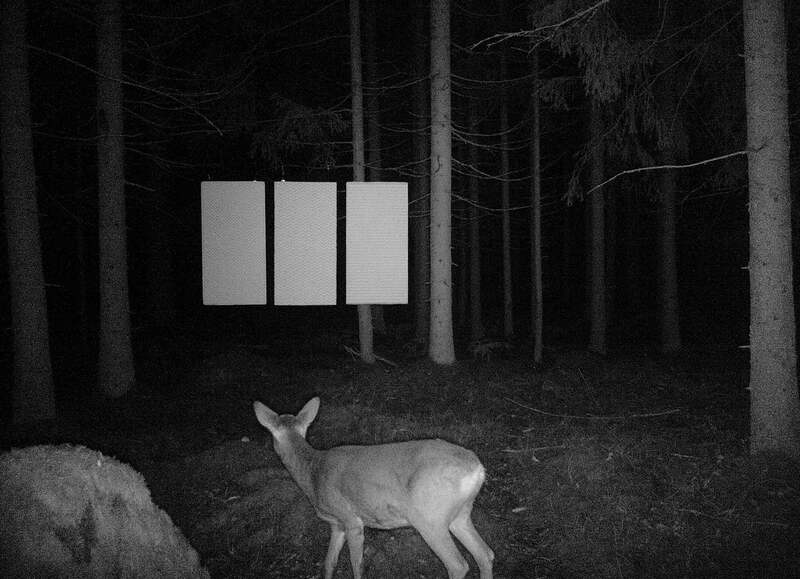 An infrared, movement-detecting Åtel camera, traditionally used by hunters, was ready, strapped to a tree at each location and painted with camouflage. The plan was to use these cameras to detect the presence of the animals, but only use photos taken with a traditional system camera. However, once Jonas saw the first black and white infrared pictures he changed his mind. 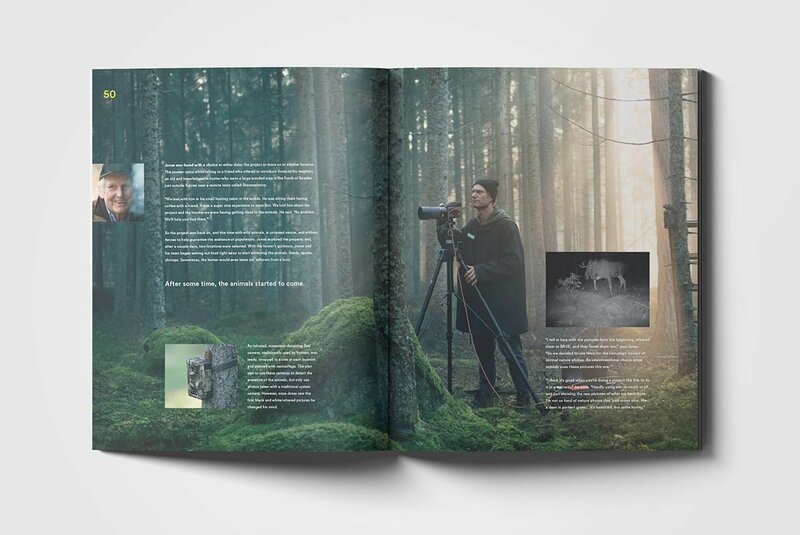 Finally, the print catalogue – one of the most important components. People tend to be religious about things. When other people in the industry learns that we spend quite a lot of time on producing print catalogues I often get the questions “I thought you we’re a digital guy!?”. Well, let me tell you – I’m neither an offline or online guy. I’m a human guy. I create campaigns and content that make an emotional impact on people. And in order to do just that you’ve got to do things they love. And, print is actually still loved by a lot of people. On top of that, print lets me control how people see our product. I can make a stronger emotional impact by choosing a certain kind of paper, print quality and format. For design related projects, both off and online, I’ve teamed up with Daniel Stridsberg. Together we run ROST Studio. I wanted to make sure our BAUX Acoustic Pulp catalogue was stunning and how better control that than actually art directing it myself and letting Daniel handle the actual final design of the product. The final result was stunning. To create a greater tactile feeling and make a stronger impact when you received the magazine we decided to create a cardboard package, of course in a recycled paper, just like the whole publication. We created a beautiful magazine that offered its reader a diverse content experience. The print format is perfect when it comes to creating a strong brand experience within a controlled format. 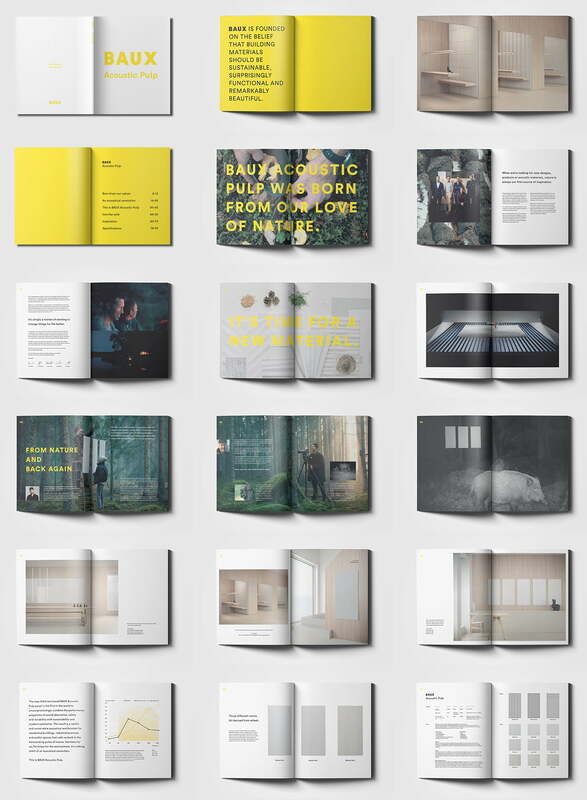 Rather than just presenting the BAUX product, the catalog format contextualises the BAUX Acoustic Pulp into am emotional experience where the product constantly is the hero, yet I can control how the reader experiences the product. For another company I’ve founded, BEU Watches I’ve worked with copywriter Lisa Baumgartel. It’s been a great relation. For me, writing conceptual copy myself, I need to work with a copywriter that accepts a somewhat stricter creative direction in the beginning of a project, but then takes that direction and flies away. Lisa is like that. After we’d agreed on the tonality she produced fantastic copy for both the website and print, PR and technical publications. Ultimately the intention with the print magazine we created was to deliver information about new the Pulp product in a highly visual format. This format helps and inspires Architects and Interior Designers literally see how the new products work and can fit into their projects. Print creates stronger emotional responses. A print magazine makes people remember the communication better. Physical content leave a longer-lasting impact than digital. People value objects they physically handle more than those they haven’t touched. Research show that print communication seem to increase our sense of trust and our level of understanding and enjoyment. To sum up. Print still has its place in the modern marketing mix and we made our best to make it a key component in the experience at the Stockholm Furniture & Light fair. So far the feedback has been fantastic. Leading publications all over the world has picked up on our new product. 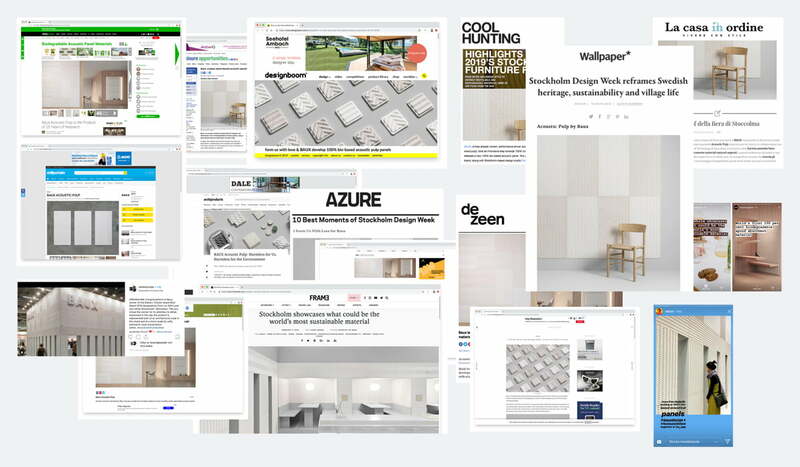 Magazines and leading blogs like Wallpaper, Dezeen, Frame, Design Milk, Cool Hunting, Azure, Elle Interior, Designboom, Inhabitat, Trendhunter etc etc has picked up the news. In a recent report we learned that our campaign so far has been put in front of potentially more than 12 million people. And, we’re still counting. All in all. I’m pretty happy about what we’ve achieved so far. So, now what? Planning next product, next launch and doing more fun stuff. If you managed to read this far. Wow! Previous articleHey world, this is BEU Watches.